Caryopteris incana (Houttuyn) Miquel (incl. C. tangutica Maxim.) (SE As.) – A very rare escape from cultivation. 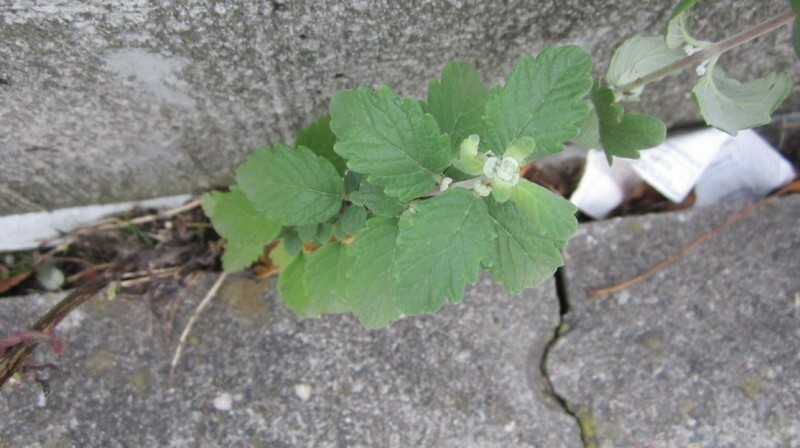 A single selfsown shrub was recorded in a crack of concrete in the center of Brussels in 2017. Although widely cultivated Caryopteris incana is rarely (if at all) reported as an escape from cultivation. Itow S. & Kawasato H. (1988) The distribution and ecology of Caryopteris incana Maxim. (Verbenaceae) in western Kyushu, Japan (in Japanese). Hikobia 10(2): 135-143.